National and international league tables are compiled using varying methodologies. 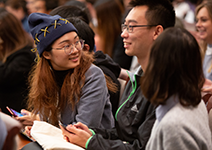 International rankings, including the QS, Times Higher and the Shanghai Jiao Tong University Rankings run with the academic year. As such, for example 2017–18 is listed as 2017. The rest of the rankings are categorised by the year given to them by the respective publications, although they are released a year before this. So, for example, the 2018 Complete University Guide was released in 2017. 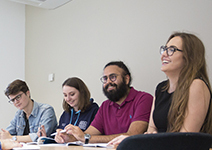 Why study at UCL Laws? 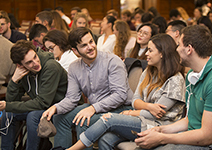 Whether you’re studying at undergraduate or graduate level, UCL Laws offers an extraordinary student experience. 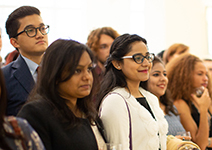 Find out more about our different degree programmes available, or register your interest in studying at UCL Laws. 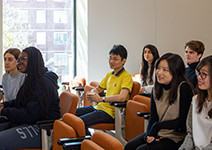 UCL Laws is part of London’s global university, with more than 13,000 staff and 38,000 students from 150 different countries. UCL is consistently ranked in the top 20 of the world’s universities, and is London's leading multidisciplinary university.